◎ Another three executives of Hengfeng Bank (Evergrowing Bank) were investigated for economic crimes. 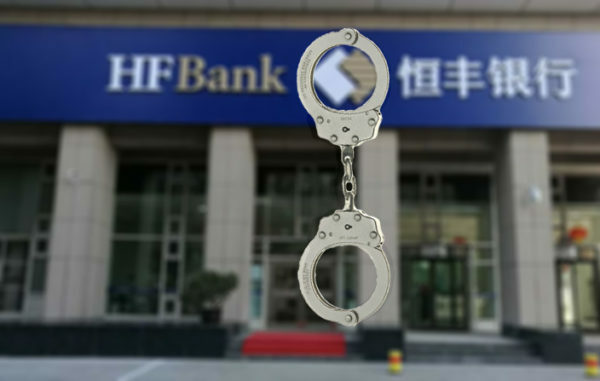 Recently, another three executives of Hengfeng Bank (Evergrowing Bank) were investigated for economic crimes. Bi Jifan, Hengfeng’s vice president, was among those who were probed. He was suspected of being involved in problem loans and with the corruption case of Hengfeng president Cai Guohua. The Chinese authorities announced that Cai was arrested for breaking Party discipline on Nov. 28, 2017. Jan. 5: The China Banking Regulatory Commission (CBRC) published “Interim Measures for the Management of Commercial Bank Equity,” a set of regulations that prevents majority shareholders from taking up controlling stakes in multiple financial institutions, and safeguards against the transfer of benefits or risks to other institutions. March 9: The CBRC issued a notice on the implementation of the “Interim Measures for the Management of Commercial Bank Equity,” as well as a circular on the regulating of commercial bank shareholders. The Xi Jinping administration has to clean up corruption in the financial sector to resolve risks. We believe that there will be more arrests of top bank executives going forward. 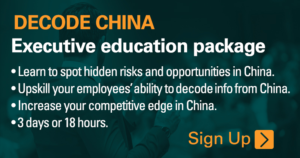 In our analysis of Hengfeng Bank executives being probed in December, we wrote that foreign firms face three political hazards when investing in Chinese financial institutions. In our analysis of Guo Shuqing’s media interview, we noted that the Chinese authorities would crackdown on shadow bank shareholders that treat the commercial banks they indirectly own as personal “ATMs.” Purged Hengfeng president Cai Guohua is an example.